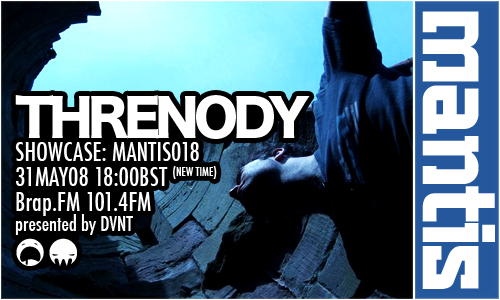 This week we welcome to the Mantis Radio showcase – Threnody – a UK producer making some big waves in the breakstep arena. Threnody has been producing music since the early 90s with early works centering around an old Tascam 4 track, a guitar and a stack of FX. 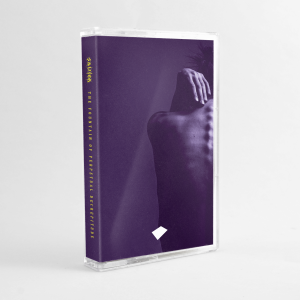 Fast Forwarding to the present day his current sound focusses on deep subs and chopped breaks with avant-garde textures and manipulated sounds exploring the uncertain space between dubstep, breakstep and electronica. Having received airplay from Mary Anne Hobbs (Radio 1) and numerous DJs across Sub FM and React FM amongst others, his profile is rising and forthcoming releases on Urban Graffiti, Combat, Creative Space, Dubkraft, Red Volume and Rottun signal the future is set to be big. Catch Threnody every Thursday at 12-2am on SUB FM. The mix, the mix is simply phat. Looking forward to picking up some of those tunes when they get released. He also heads up the UK Trends digital imprint. The first hour, as presented by yours truly DVNT gave up a right mash up of bass, glitchy and breaky treats. Forthcoming Eskmo, Solar Chrome (which got some wicked feedback in the chat I might add), the new net-lab release from Odan and his Aphex acid stylings, as well the huge Redliner with Break the Surface and the soon to be MANTIS anthem, Nagano Kitchen and GSXR8100. I love that tune. Dropped it last night in Farrington at the neuroMANTIS/Centrifuge night.